When John Abraham does action, he does it in style. And that's exactly what he offers in Force 2 - his much awaited sequel to one of 2011's successful films, Force. If the actor - producer says that he will promote good scripts that require never before seen action, he definitely means business. And fortunately for us, we get to see that and a lot more in Force 2. 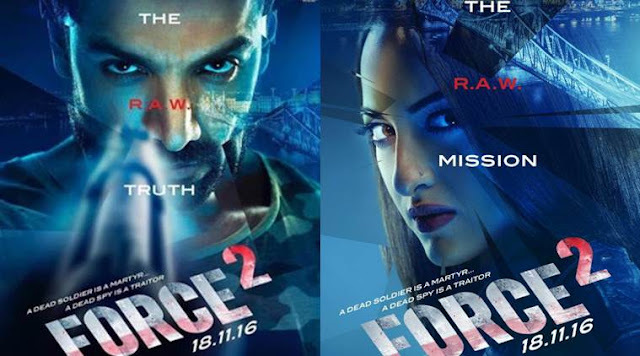 Set in China, India and a large part of Budapest, Force 2 is an out and out action thriller. The film opens with brutal assassinations of multiple undercover agents, who have been associated with the Indian intelligence bureau - RAW, across Asia. One of these agents (Freddy Daruwala in a cameo), now dead, was closely associated with ACP Yashvardhan (John Abraham), an officer from Mumbai Police whose wife and friends were killed in the first film. During the chase (a well shot one at that) before his death, the agent leaves a hidden clue for Yashvardhan. While the nation's security is under threat, the Indian Intelligence Bureau asks their trusted european division officer - KK (Sonakshi Sinha), to join Yashvardhan and trace the links to these well planned attacks. One thing leads to another, and they discover the mastermind is none other than a mole named Shiv Sharma (Tahir Raj Bhasin) working for the Indian embassy in Budapest. What follows next is a thrilling chase, where both Yashvardhan and KK fight it out to nab the antagonist and meanwhile, ensure the safety of other RAW agents, who are alive. If the trailer left you in awe, the film is sure to keep you on the edge of your seat. So much, that even a short washroom break might result in missing out on some serious action. The film purely focuses on it's lead characters and the mission, maintaining a smooth flow of the story and excellent pace, without any hiccups. Amitabh Shukla and Mohana Krishna's editing is crisp, while the cinematography by Imre Juhasz (of Die Hard) and Mohana Krishna is perfect. Dialogues and the story penned by Jasneet Reen and Parvez Shaikh is good. But, the hero of this film from the technical department has go to be the action and background score. We love how the action in this film is a break away from the same old pow-wow that we get to see in almost every Bollywood film (not that we don't like it, but hey, we also love experiments). Force 2 has got some jaw dropping stunts, with Abraham lifting everything from cars to window grills, shattering glasses and breaking doors. The action sequences (by Franz Spilhaus of Commando fame) are slick, stylish and impactful, as we see the lead characters punch, knock and kick the hell outta those bad boys. A particular mention of the fabulous and refreshingly different climax action sequence. The film maker and action team have experimented with the visuals and shot everything like a first person shooter game, reminding us of Infinity Ward's Call of Duty. Amaal Malik's background score is top notch and matches the film's pace and requirements very well. Music of the film, with just two songs, is average. 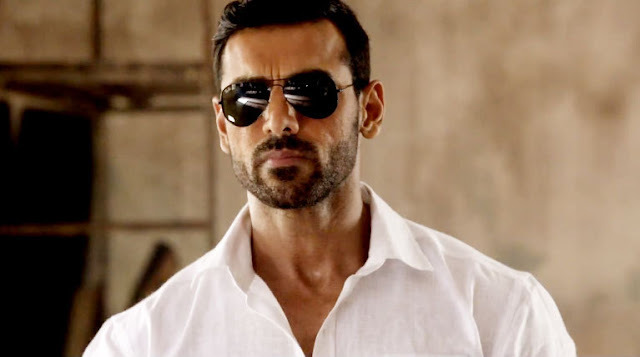 John Abraham is undoubtedly the heart, soul and face of this film. As the intense and 'thoda satka hua' ACP Yashvardhan, he performs exceptionally well. With two action oriented films in the same year, Sonakshi Sinha is clearly turning out to be one of our favourite action heroes. As the tough RAW agent KK, Sonakshi delivers a fine performance. This girl has got some serious action moves, bruh! Tahir Raj Bhasin as the villainous yet vulnerable Shiv Sharma is spine chillingly good. Other cast members, including Adil Hussain, Narendra Jha among others, have also done a decent job. Also, we were happy to see Genelia D'souza Deshmukh's infectious smile back on the screen, even if it lasted two minutes. Filmmaker Abhinay Deo, who has earlier impressed us with Delhi Belly and the Indian version of television series - 24, does a fine job of bringing the best of action, thrills and entertainment together in this well crafted, gripping film. Ismein action, drama, emotion aur entertainment hain. Go, watch it and join the chase! Verdict: If you enjoy a well made action - drama, filled with thrills and some high octane action, we highly recommend this one for you. Thanks for the review. I have my tickets booked for the night show tomorrow.